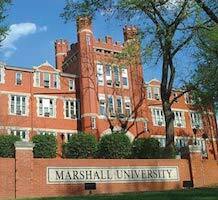 The Department of Physics at Marshall University works closely with the College of Education and Professional Development, who offers a B.A. in Secondary Education through the Physics 9-Adult program. It is within this program where the Physics Department ensures students are well prepared to become teachers with a strong background in Physics.